ALL of the GOP contenders for the California Senate seat aim at Boxer..not each other…. 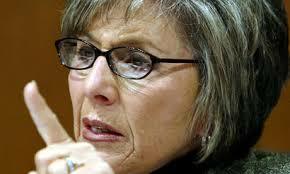 California Senator Barbara Boxer is not one of my favorite persons…. I don’t know her….. really…..
the way she wanted to be addressed….. The leading Republicans competing for their party’s nomination for the U.S. Senate moved into the final phase of their campaign Friday, largely seeking to ignore each other and focus, instead, on the incumbent they hope to unseat, Democrat Barbara Boxer. The most recent polls have shown two of the candidates, former Hewlett-Packard chief executive Carly Fiorina and former Rep. Tom Campbell, locked in a tight race for the June 8 primary, with Orange County Assemblyman Chuck DeVore trailing in a distant third. Campbell has his own spot that features unflattering footage of Boxer waving papers in the air and accuses her of profligate spending, arrogance and isolation from average Americans. According to a new Statewide Survey in the Golden State Democratic Incumbent Senator Barbara Boxer (D-CA) still remain very vulnerable in her Quest for Re-Election with former U. S. Tom Campbell (R-CA) polling stongest against her. Boxer is still stuck in the low 40ties. I wonder if that will change once the Republican Nominee has been decided? 2. She is so damaged after all this Years that this Race will stay close until the November General Election. We took some big hits today as Pataki & Thompson declined to run thus assuring Democrats the Retention of the Upper United States Legislative Chamber barring a MAJOR EARTHQUAKE ELECTION. Still, there is no need to have a letdown. We just need to make sure we TAKE OUR CHANCES that we still have and one of the BIGGEST PRIORITIES would be to defeat Boxer and Reid if we can. It also would put us in an advanced Position for the 2012 Election. “The more successfull WE ARE this year the GREATER the Chances we gain Control of the Senate in 2012. A new Statewide Survey in the Goden State shows Democratic Senator Barbara Boxer (D) may very well have the Race of her Political Life in 2010. She is well under 50 % and barely leads her Republican Challengers. Despite a horrible JA from the “Governator” and decent Numbers from the President Senator Boxer’s Numbers are pretty underwhelming. That should be concerning. This from Rasmussen on the race……. 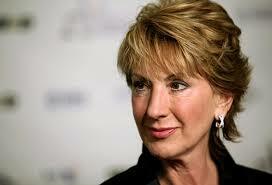 Boxer leads former Hewlett-Packard CEO Carly Fiorina 46% to 42%, virtually unchanged from January. Another seven percent (7%) would vote for some other candidate, while five percent (5%) are undecided. Boxer led Fiorina by nine points in November and 10 points in September. 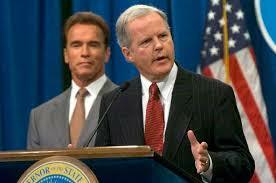 The incumbent also holds a four-point lead over former Congressman Tom Campbell, 45% to 41%. Four percent (4%) like another candidate, and 10% are undecided. Boxer held the same lead over Campbell, just after he joined the race in January. The fact that Boxer’s support has been stuck in the mid-40s for several surveys no matter which Republican she is matched against continues to suggest that the race for now is about her rather than about those who are running against her.